Looking for a quilt to use your larger scale prints? Journeys is it! 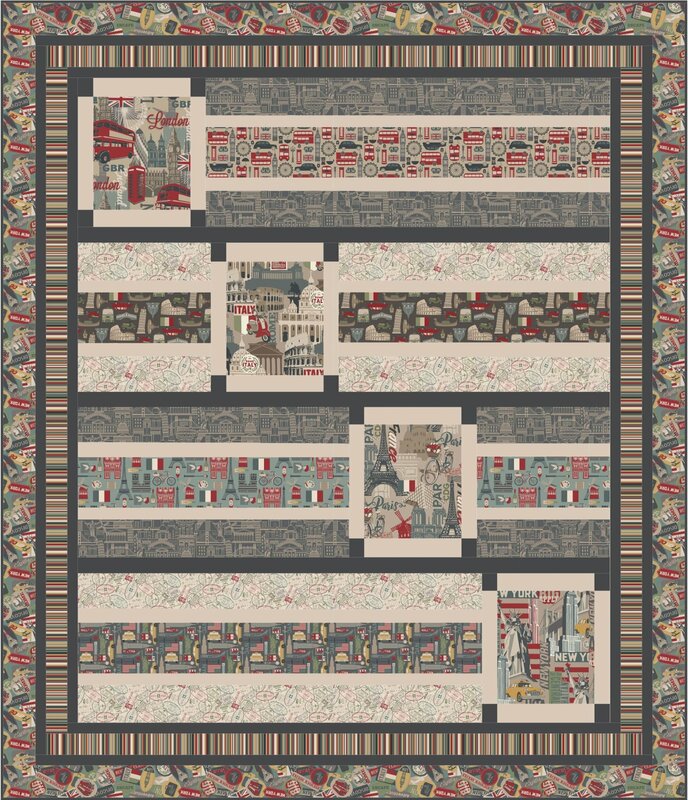 Whether you use Northcott's wonderful Destinations prints (as shown in the quilt) or your own choice of fabrics, Journeys is an easy, modern style quilt that will showcase your fabrics to their best! Quilt measures 64" x 75".